Whilst many people in Europe were enduring unprecedented Arctic conditions, laboratory scientists from around the world enjoyed warmer climates, having gathered in sunny Orlando for the globally acclaimed Pittcon Conference and Expo 2018. 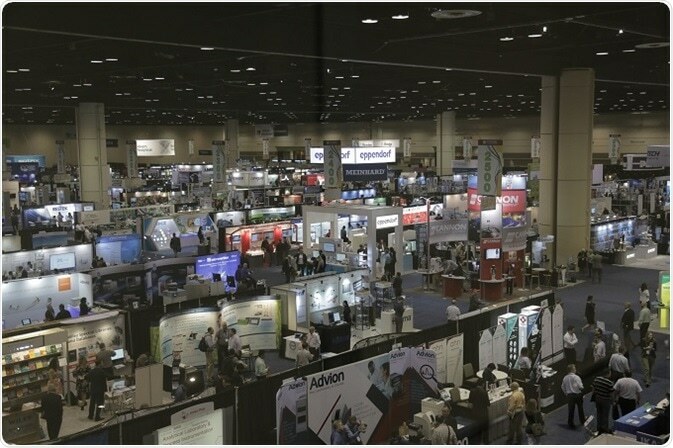 The Orange County Convention Center was buzzing as scientists of numerous disciplines discussed current research projects with their peers and discovered the latest advances in instrumentation and technology. Pittcon 2018 provided a packed academic program incorporating more than 2,000 technical presentations detailing a diverse selection of methodologies and over 90 skill-building short courses. In addition, there was the opportunity to meet over 700 exhibitors and attend interactive presentations and virtual reality demonstrations of the latest products. A range of great networking events were also incorporated into the Pittcon 2018 itinerary to allow colleagues from across the globe to meet in person and provide the opportunity for new contacts to be made. These included the Universal Island of Adventures networking event at which delegates had exclusive access to rides and attractions at Universal’s Islands of Adventure™ and could explore the magical, world of Harry Potter wizardry in the dark. Some highlights from the vast array of technical sessions at Pittcon 2018 are presented below. This year's Wallace H Coulter Lecture, entitled “Analytical Science in Precision Medicine: Facing the Challenges of the 21st Century Healthcare” was given by Professor Jeremy Nicholson, Head of the Department of Surgery and Cancer and Director of the MRC-NIHR National Phenome Centre Faculty of Medicine. He discussed how analytical chemistry will become increasingly important in delivering tailored healthcare solutions across the world. For example, the precise combination of microorganisms within an individual can predict health outcomes, including the risk of developing obesity and cancer prognosis. 2014 Nobel Prize winner Dr Stefan Hell, Director at the Max Planck Institute for Biophysical Chemistry in Göttingen and for Medical Research in Heidelberg, delivered the plenary lecture with a last-minute title change to “Far-field fluorescence nanoscopy post-nobel” in which he described the new concept of MINFLUX he developed to enable true molecular resolution with visible light and standard objective lenses in fluorescence microscopy. We also had the opportunity to speak to many of this year’s award winners. The first was the inaugural Advances in Measurement Science Lectureship Award, presented to Prof Neil Kelleher, Director of the Proteomics Center of Excellence, for developing The Consortium for Top-Down Proteomics. 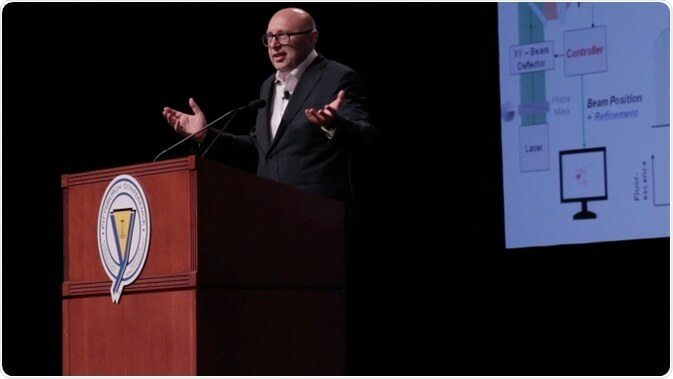 In his presentation at Pittcon 2018, "Structural Mass Spectrometry and Top Down Proteomics" he provided details of The Cell-Based Human Proteome Project that aims to characterize all proteins of the human body using a new workflow he developed for studying whole proteins. Parastoo Hashemi, an Assistant Professor in the Department of Chemistry and Biochemistry at the University of South Carolina, was awarded the Pittsburgh Conference Achievement Award for her work in the development and optimization of in situ electrochemical methods for analyzing biologically and environmentally impactful molecules. In her presentation at Pittcon 2018, she detailed cutting edge technologies for studying the brain and diagnosing depression. Chi Li Arizona State University was awarded the 2018 Metrohm Young Chemist Award for his work developing a multimarker biosensor that can be used to precisely characterise multiple diseases. Monitoring a single biomarker is often inadequate for providing a comprehensive picture of the pathophysiological changes that occur in complex disease states. Li's a panel of sensitive and rapid biosensors will provide a cost-effective tool for personalizing medicine and care, whereby increasing the efficiency of the medical system. We also had the opportunity to speak to a range of other scientists presenting their recent work at the event. Interviews will follow soon, but in the meantime, here’s an overview of the people we spoke to and the topics covered. Jack Gilbert of the University of Chicago explained how the microbial organisms present on an individual's skin have a unique composition determined by their life experiences. In order to develop this as a forensic tool, his team is conducting a systematic analysis to determine whether elements of a person's life can be predicted from their microbiome, both on their bodies, and on surfaces with which they have come into contact. Jonathan Wingfield of AstraZeneca described a novel high-throughput mass spectrometry (MS) platform developed in collaboration with Labcyte and Waters. The Echo-MS system generates a droplet spray comparable to standard electrospray and can run at sampling speeds of three samples per second enabling label-free, high throughput screening. Susan Richardson of the University of South Carolina detailed her latest research into the identification of new disinfection by-products in drinking water utilising liquid chromatography and gas chromatography. In order to reduce human health issues arising from drinking water, she is determining the formation mechanisms of new disinfection by-products to facilitate their toxicological characterization and improve the safety of drinking water. In addition, she is assessing the presence of wastewater contaminants, such as pharmaceuticals and pesticides, that are not removed during drinking water treatment. John Richie from Penn State College of Medicine presented data from a recent study showing that the aerosols from electronic cigarettes contain high levels of free radicals that are very damaging to cells and can increase the risk of developing cancer. Using electron paramagnetic resonance spectroscopy (EPR) with the spin-trap phenyl-N-tert-butylnitrone (PBN) his team assessed the presence of reactive, short-lived free radicals in the aerosols of a range of electronic cigarettes. The amount of free radicals produced varied according to the design and composition of the electronic cigarettes, but was sufficient to pose a risk to human health. We also had the opportunity to cover some of the incredibly interesting symposia on offer during the week. Karen Faulds of the University of Strathclyde described the advantages of Surface-enhanced Raman scattering (SERS) for the detection of specific DNA sequences, which is key to the diagnosis of several diseases. In particular she demonstrated how the technique can identify the presence of multiple analytes in solution. Julie Kowalski of Trace Analytics detailed the problems associated with accurately quantifying the potency of cannabis and demonstrated how the selectivity of liquid chromatography-tandem mass spectrometry could provide the solution. Dr Bruce McCord, Professor of Chemistry at Florida International University, presented his latest research showing that forensic analysis of epigenetic DNA methylation from trace levels of body fluids collected from crime scenes permits the determination of body fluid type, suspect age, and other information. Sam Nugen of Cornell University described how advances in nanotechnology and synthetic biology can provide powerful tools to ensure food safety by enabling reliable, cost-effective early detection of pathogens. Such tools could help reduce food-borne illness by giving food producers and suppliers rapid knowledge about the presence or absence of pathogens in their products. The exhibition space included booths for many of the world’s leading analytical instrumentation companies who presented numerous state-of-the-art technologies and innovative solutions to meet a range of analytical requirements. For more than 50 years, Bruker has been striving to provide the best technological solutions for every analytical task. Bruker is one of the only companies to have a portfolio that includes both nuclear magnetic resonance (NMR) and mass spectroscopy instrumentation. At the Bruker press conference at Pittcon 2018, we learned that Bruker is one of the only companies to have NMR and Mass Spectrometry as part of its portfolio. Bruker systems cover a broad spectrum of applications in all fields of research and development and are used across numerous production lines to ensure product quality and process reliability. They have even tailored their technologies to meet the specific needs of different industries with their newest releases, such as the NMR FoodScreener for food analysis, BioPharma Compass 3.0 for pharmaceutical quality control, and IVDr-by-NMR for – clinical phenomics and proteomics. At Pittcon 2018, the HORIBA group demonstrated their latest breakthrough in nanoparticle tracking analysis — ViewSizer™ 3000. By incorporating three variable light sources, this instrument is able to select the optimum conditions for any sample analysis providing high resolution particle size distribution and visualisation. Metrohm offers a complete line of analytical laboratory and process systems for titration, ion chromatography, electrochemistry and spectroscopy. At Pittcon 2018, they demonstrated the Mira P handheld Raman spectroscope and their Vision Air Software that simplifies operation and accelerates instrument implementation for accelerated near infrared spectroscopy. The latest addition to MKS Instruments’ portfolio is a gas analyzer that uses Fourier-transform infrared (FTIR) spectroscopy to detect toxic gases at very low levels within 20 seconds. The AIRGARD® analyzer gives fewer false positive readings caused by every-day ambient chemical compounds, such as cleaning agents, and includes an extensive database of chemical compounds to which newly identified threats can be easily added. The Shimadzu IRSpirit FTIR spectrophotometer comes with numerous built-in software macros to enable either a quick spectrum or identification of a contaminant in a complex mixture. Shimadzu also produces a range of high performance liquid chromatography systems for potency testing of cannabis. A single-phase liquid-gas system including their Rxi®-624Sil MS column accurately determines cannabis terpene content. 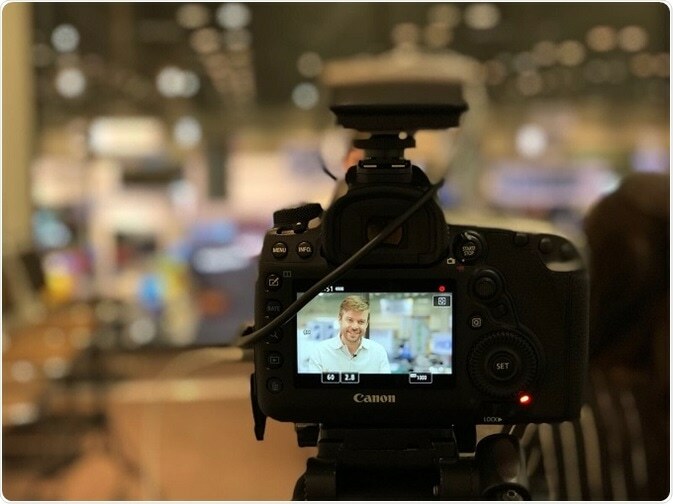 We also had the opportunity to speak to some other exhibitors in our Pittcon Tradeshow Talks feature, where we were able to conduct mini interviews on the products they are showing off at Pittcon this year. You can find the News Medical tradeshow talks interviews here, and the AZoM ones here. 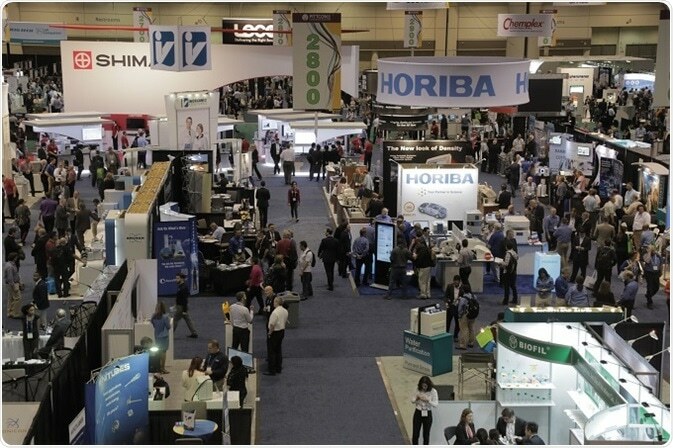 This year's Pittcon has only just drawn to a close, yet preparations are already underway for Pittcon 2019, which will showcase further developments and innovations across analytical chemistry and spectroscopy, food safety, environmental sciences, bioterrorism and pharmaceutical production. Pittcon - Real World Analytical Chemistry from AZoNetwork on Vimeo. Charles Gardner has been appointed president of the organizing committee for Pittcon 2019, which will be held in Philadelphia, Pennsylvania from 17 to 21 March 2019.